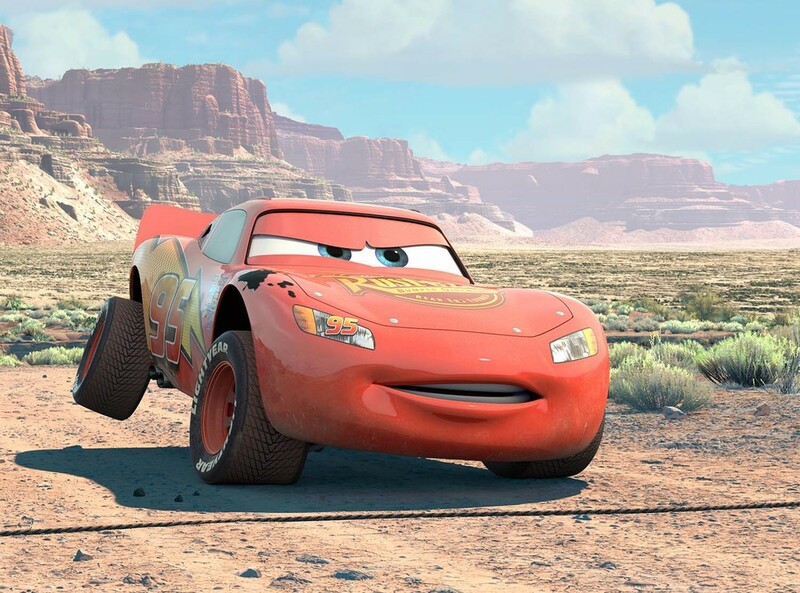 Aspiring champion race car Lightning McQueen is on the fast track to success, fame, and everything he's ever hoped for—until he takes an unexpected detour on dusty Route 66. 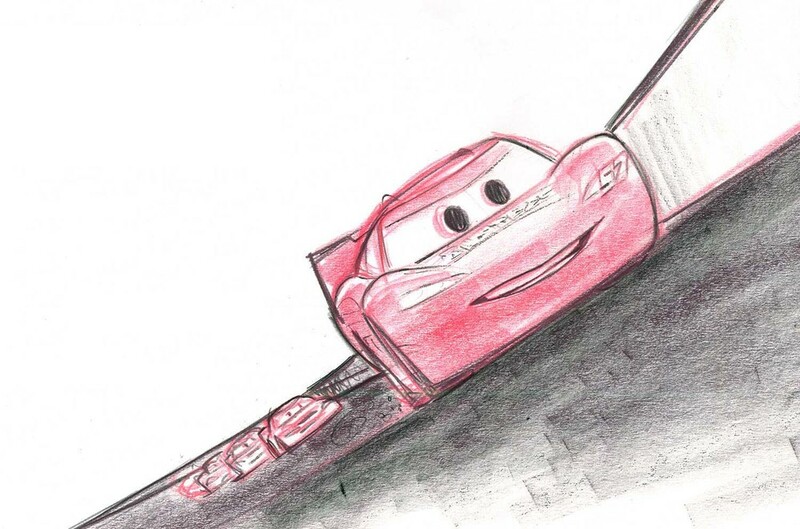 His have-it-all-now attitude is thrown into a tailspin when a small-town community that time forgot shows McQueen what he's been missing in his high-octane life. 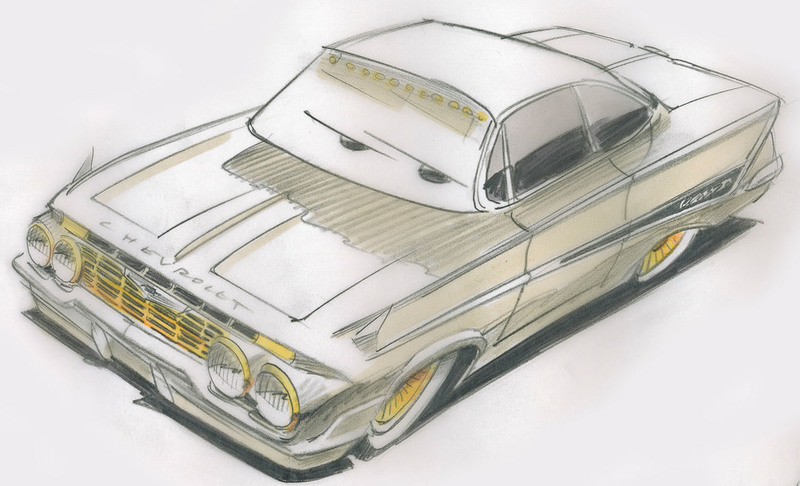 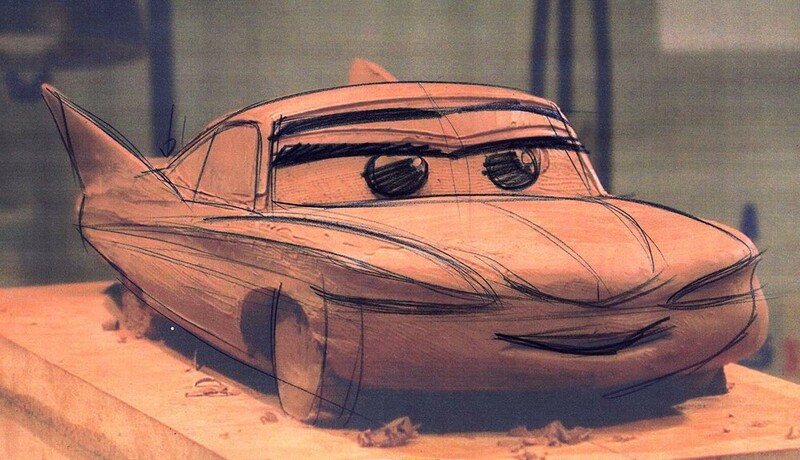 The filmmakers wanted the cars to look and feel authentic, so that the audience would relate to them as characters. 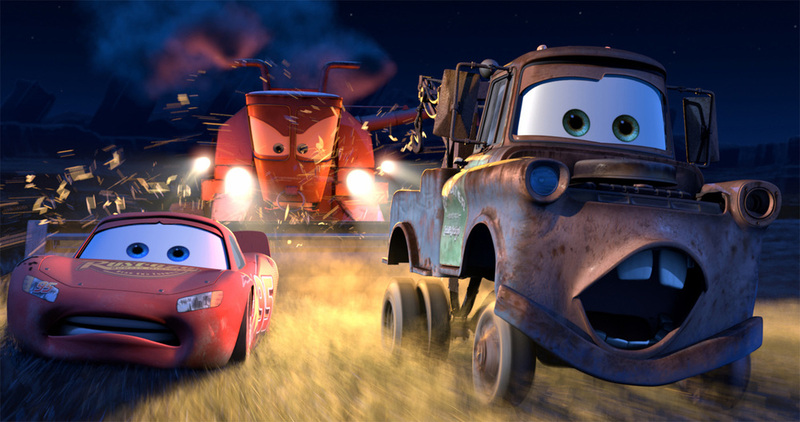 A hotshot racecar was the early choice for lead character Lightning McQueen, and a rusty real-life tow truck found off Route 66 came to life as Mater. 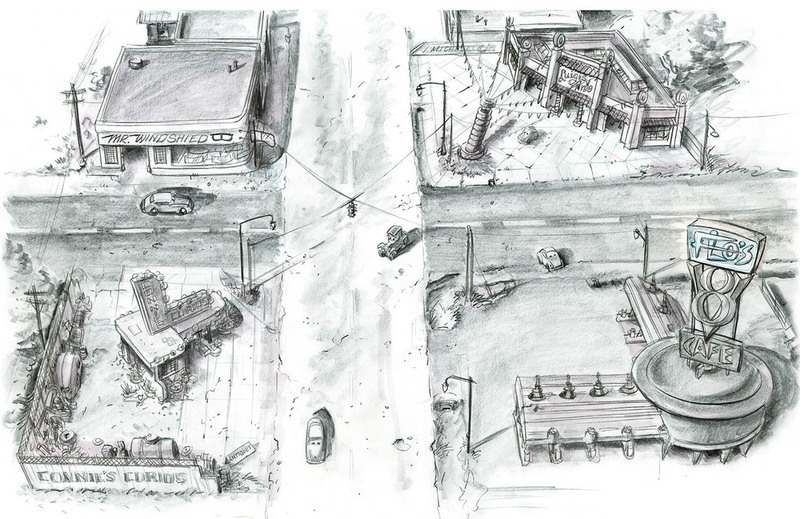 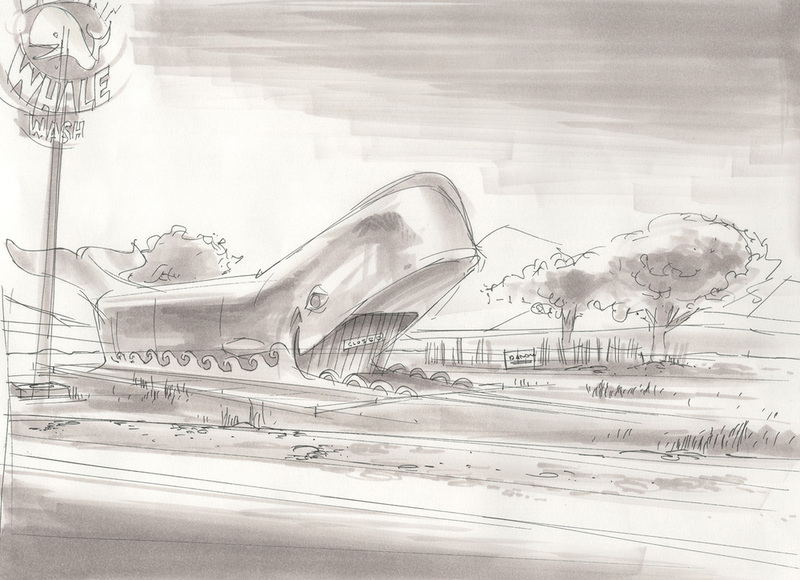 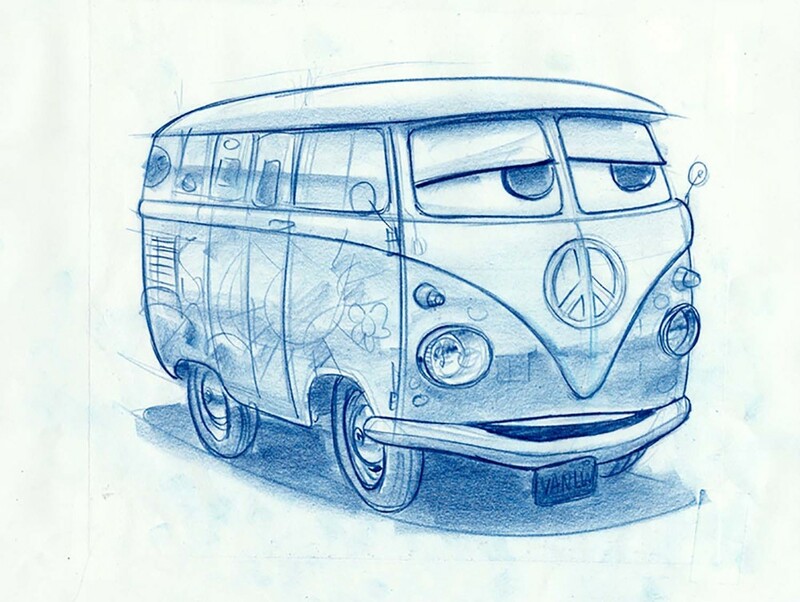 The Pixar team chose other cars to reflect people they had met on the road during their research for the film. 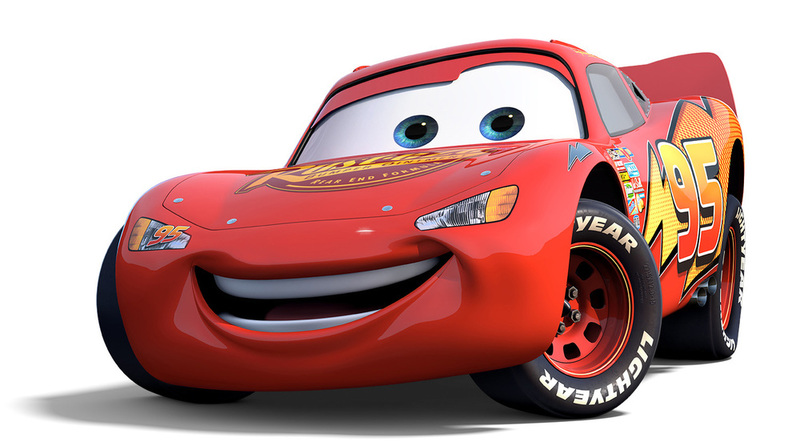 Lightning McQueen is a hotshot, rookie race car, poised to become the youngest car ever to win the Piston Cup Championship. 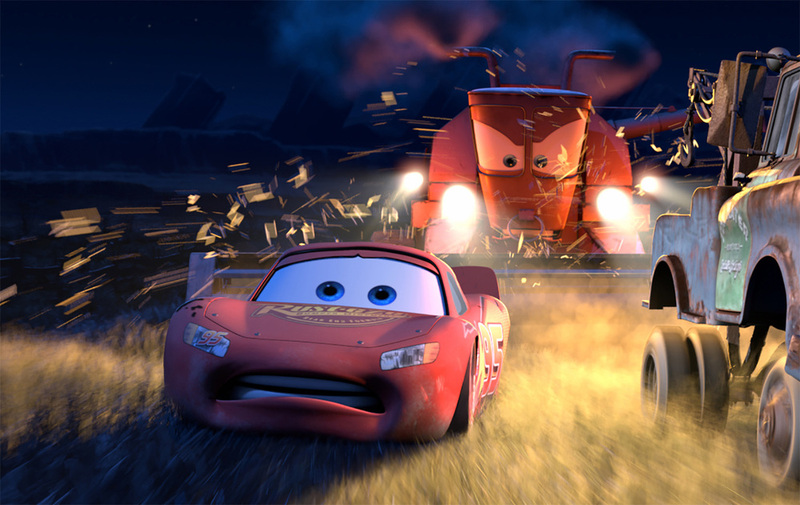 He has just two things on his mind: winning and the perks that come with it. 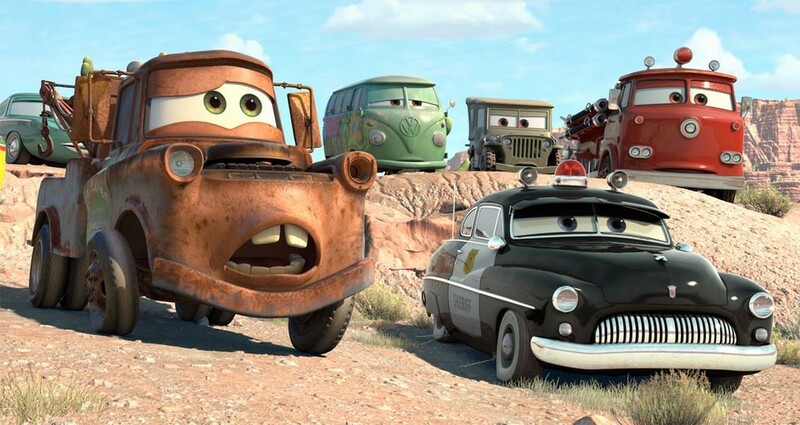 But when he in-advertently gets lost in the town of Radiator Springs, he meets a new group of friends who challenge him to reconsider the car he wants to be. 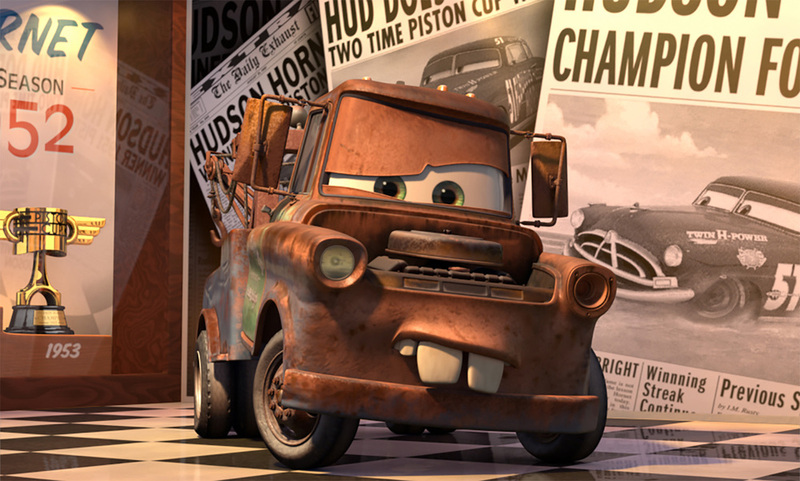 Mater is a good ol' boy tow truck with a big heart and a lovable laugh to match. 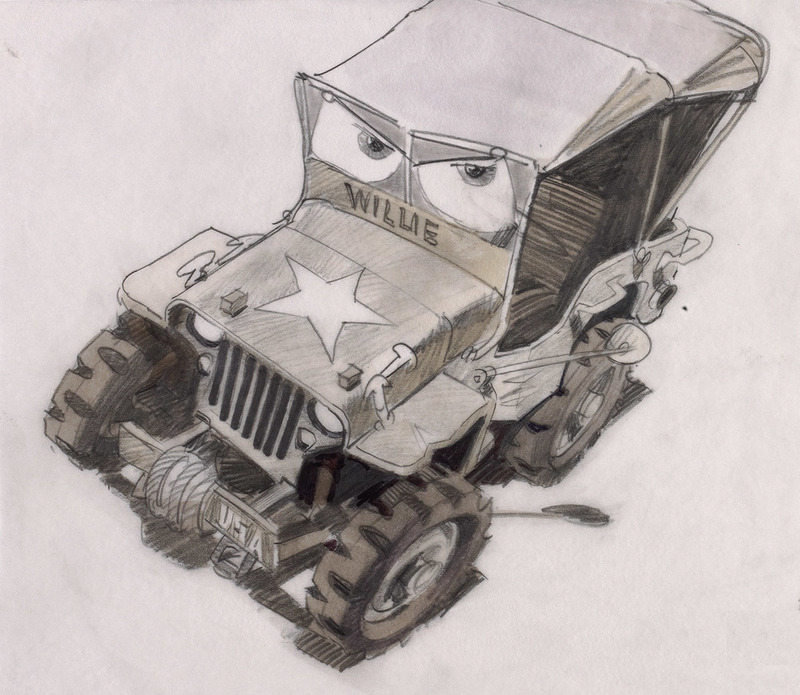 Though a little rusty, he has the quickest towrope in Carburetor County and is always the first to lend a helping hand. 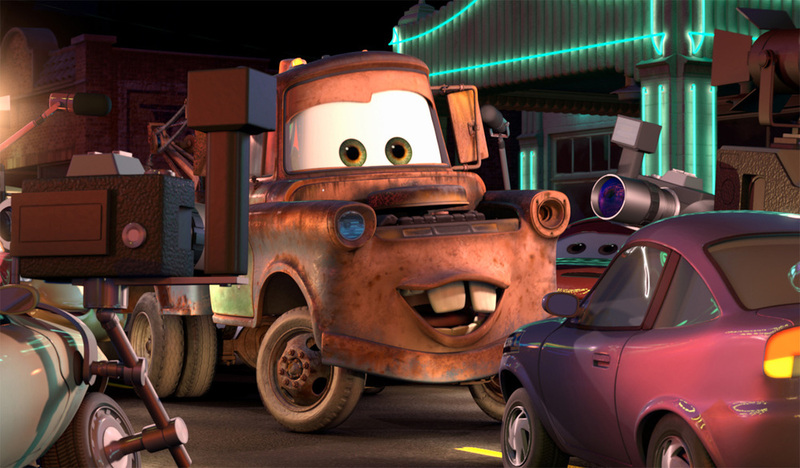 He's the sweetest, most loyal guy in town and the first to befriend newcomer Lightning McQueen. 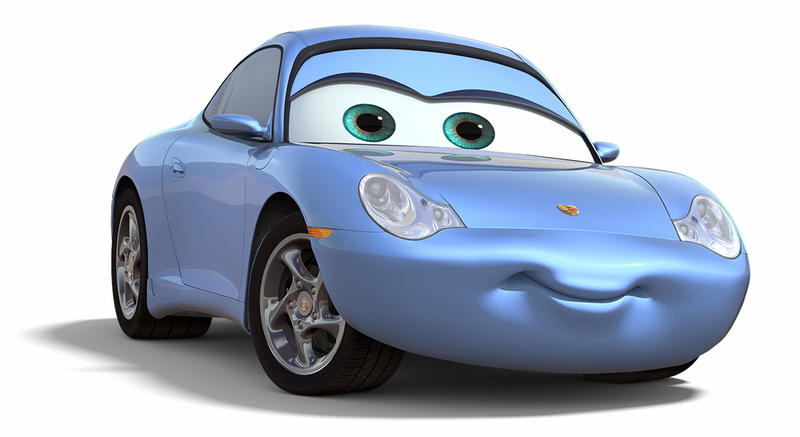 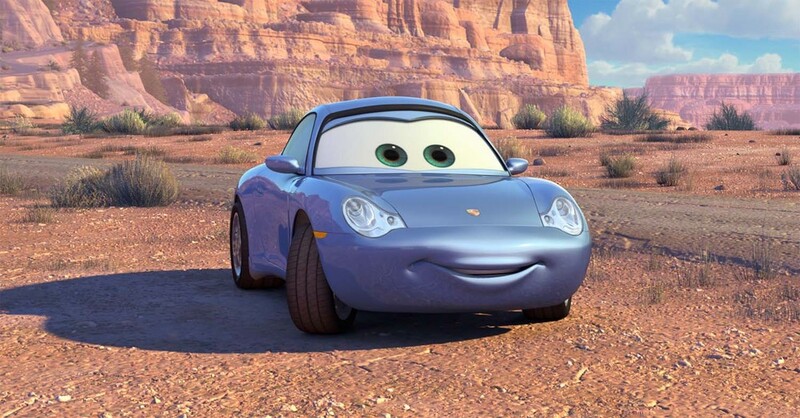 Sally is a beautiful 2002 Porsche 911 from California who grew tired of life in the fast lane and made a new start in the small town of Radiator Springs. 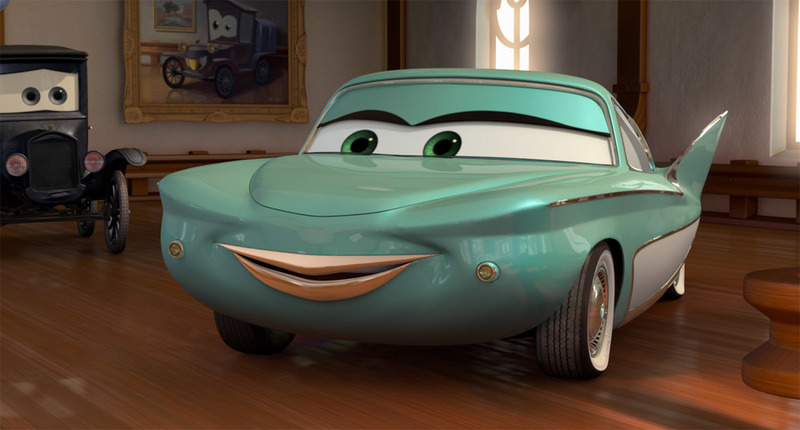 Charming, intelligent, and witty, she is the town's attorney and the car most dedicated to one day getting Radiator Springs "back on the map." 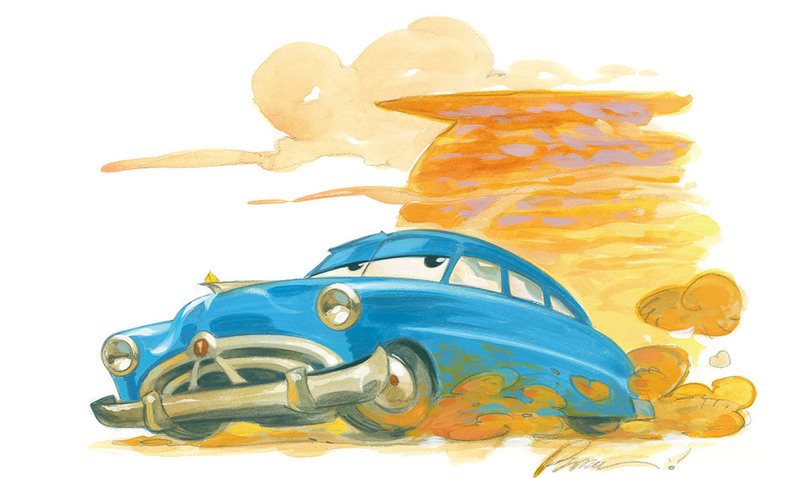 Doc Hudson is a 1951 Hudson Hornet, a quiet country doctor with a mysterious past. 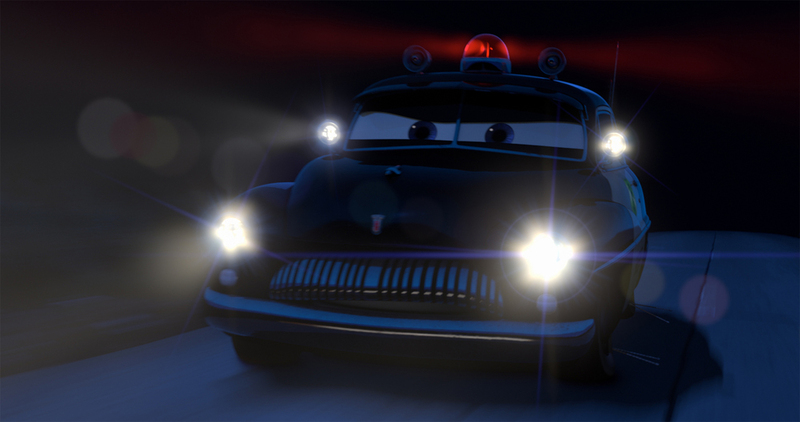 A cornerstone of Radiator Springs, Doc runs the local medical clinic and serves as the town judge. 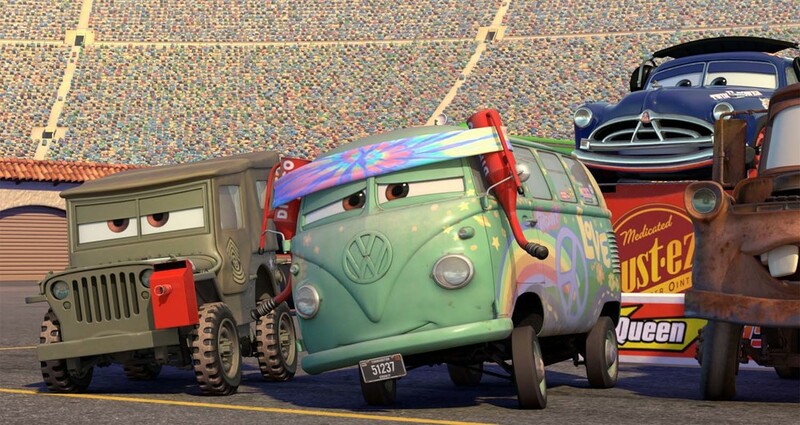 But when Lightning McQueen rolls through town, Doc's old competitive engine gets revved up once more. 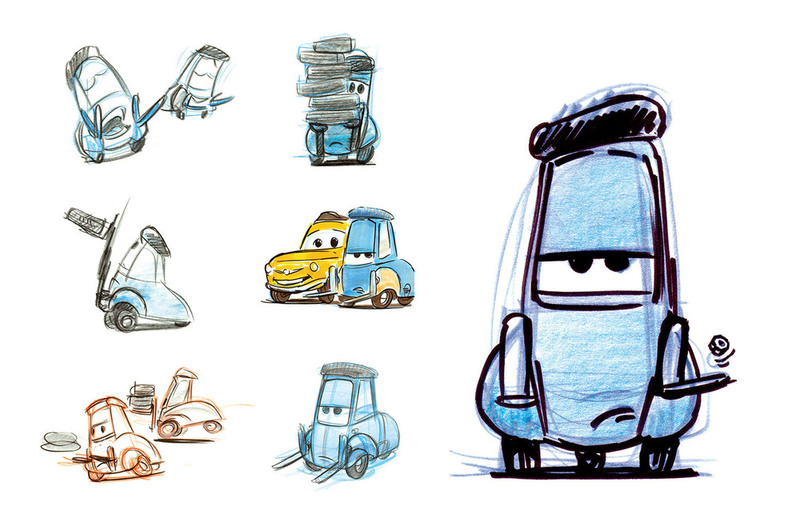 Luigi is a 1959 Fiat 500 who runs the local tire shop, Luigi's Casa Della Tires. 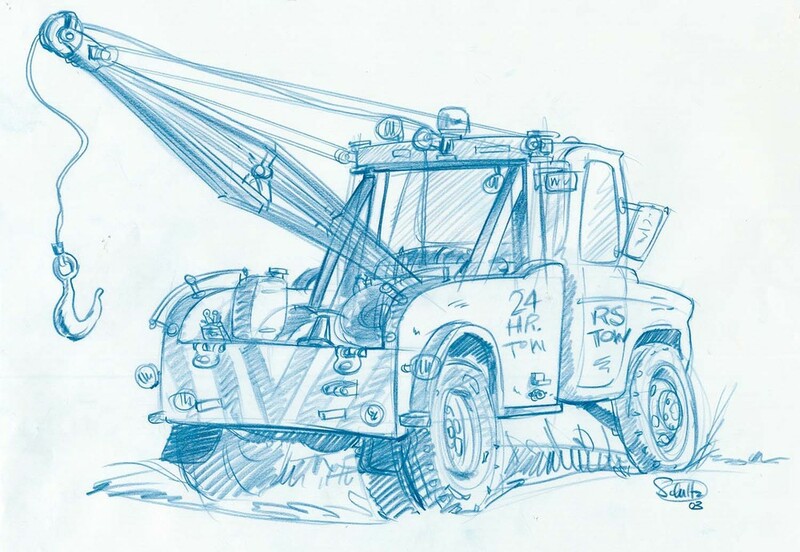 Big-hearted, gregarious and excitable Luigi is assisted by Guido, a little Italian forklift, and together they serve up more than a new set of wheels for customers. 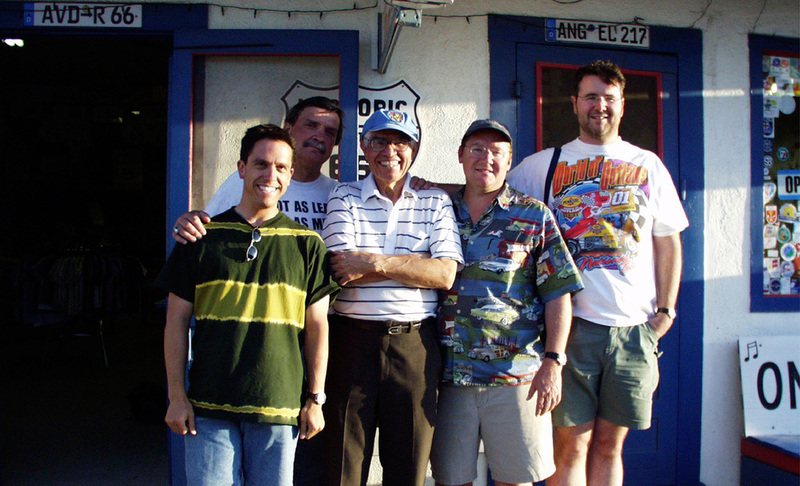 Their positive energy and enthusiasm have a natural way of rubbing off on anyone who passes through their shop doors. 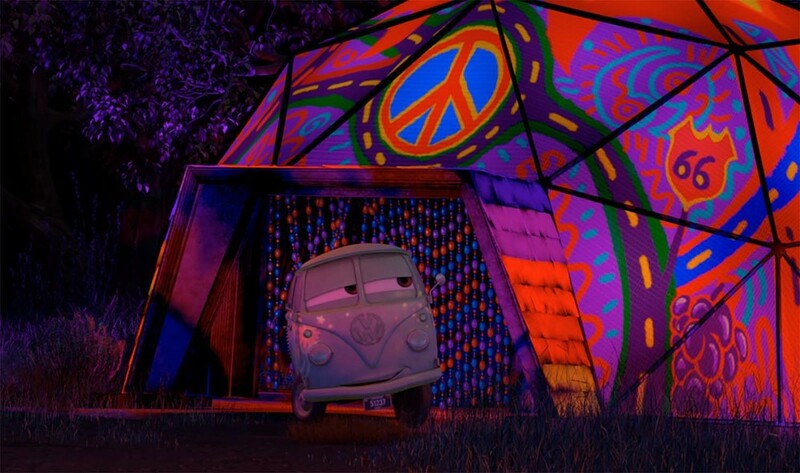 Fillmore is a 1960 VW Bus and Radiator Springs' resident hippie. 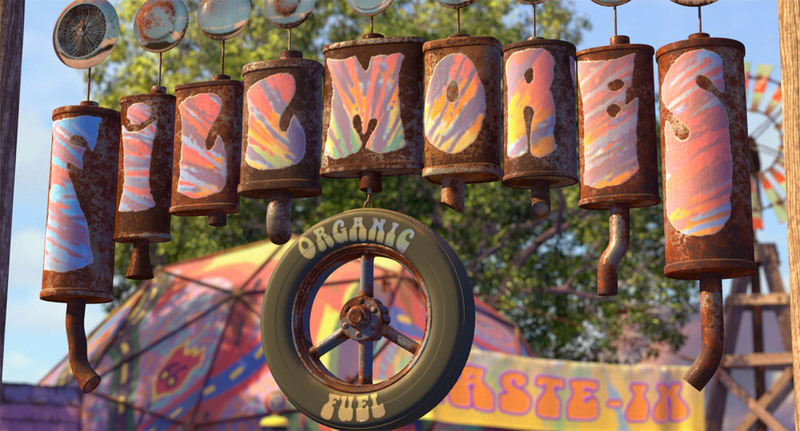 A believer in individuality and all things natural, he brews his own organic fuel and preaches its many benefits. 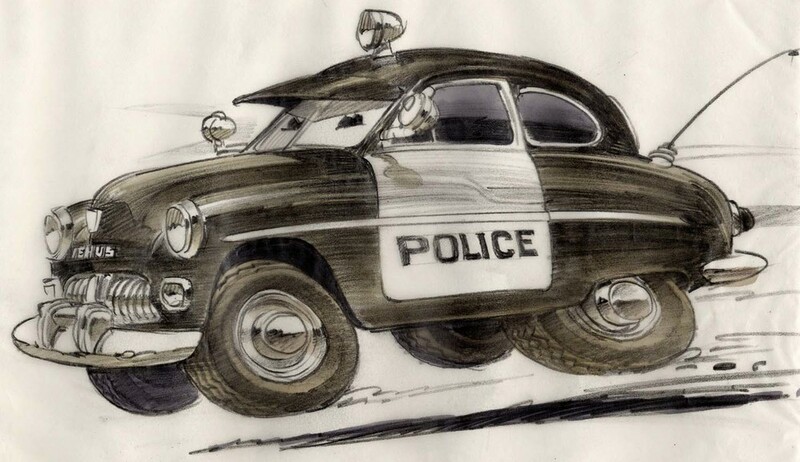 Sheriff is a 1949 Mercury Police Cruiser. 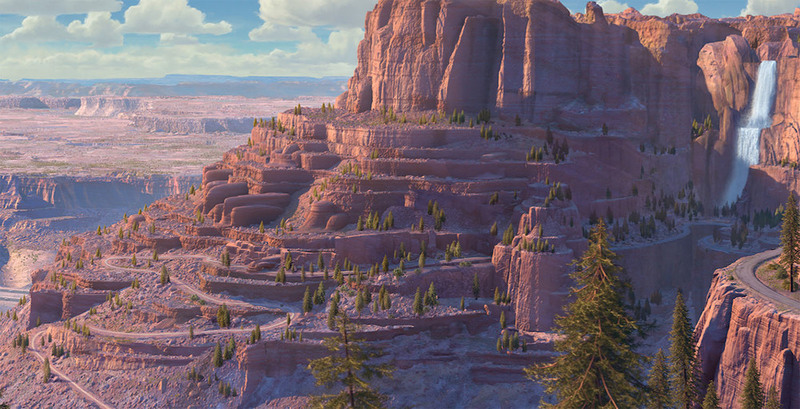 As Radiator Springs' resident peacekeeper, he takes his job very seriously. 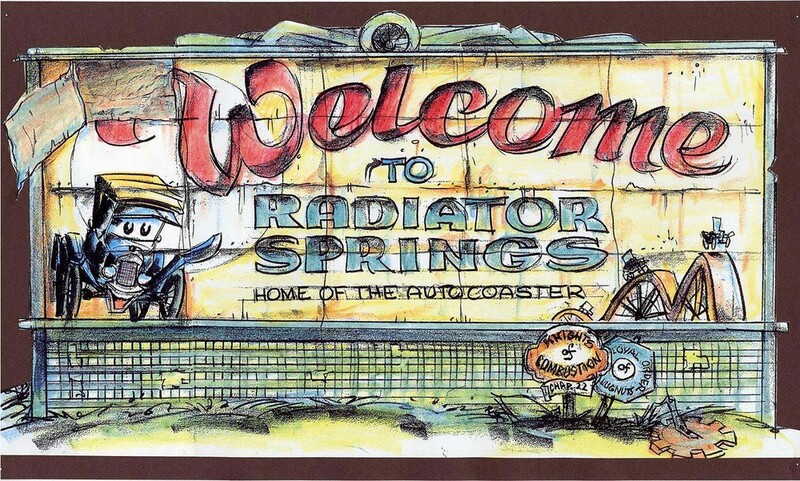 Between his law enforcement duties and the stories he tells about his beloved Mother Road, it is no surprise that Sheriff can often be found napping behind the Radiator Springs billboard. 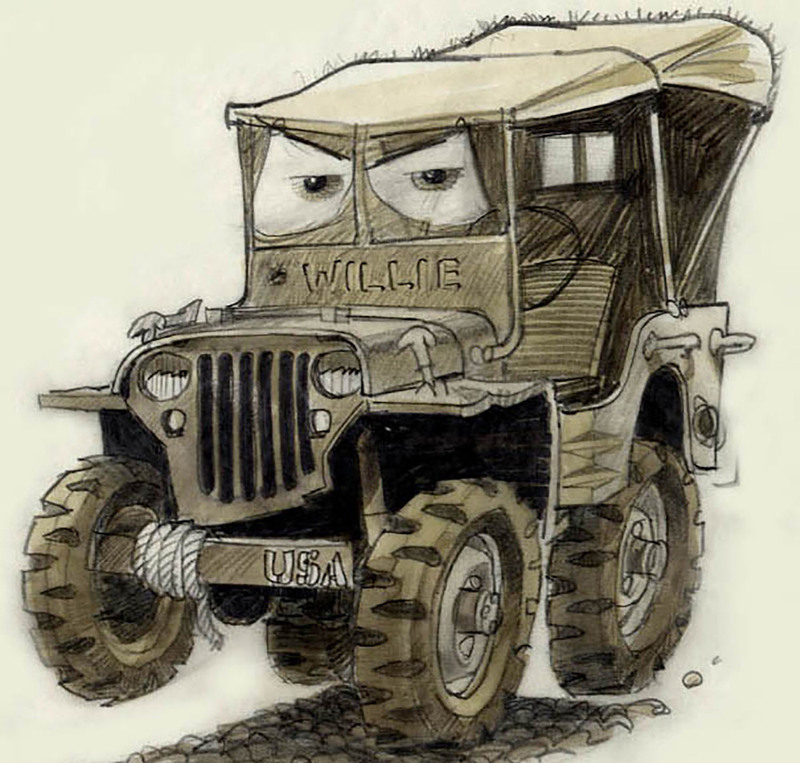 Sarge is a 1942 Willys Army Jeep and a patriotic veteran to the core. 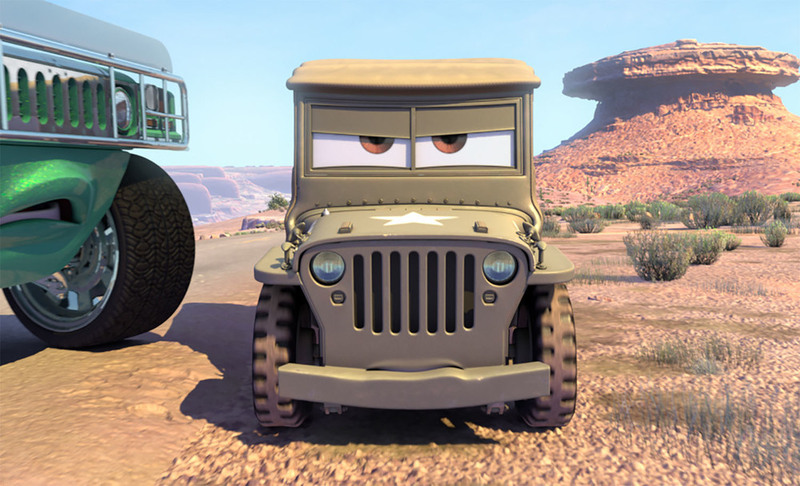 He proudly flies the Stars and Stripes and begins each day with a rousing rendition of reveille. 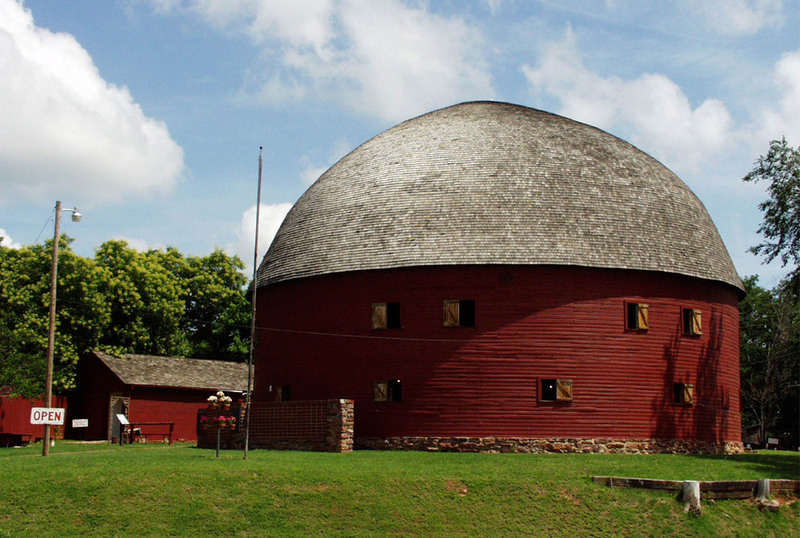 When he's not running Sarge's Surplus Hut, he can be found precisely manicuring the lawn in front of his Quonset garage into a perfect flattop. 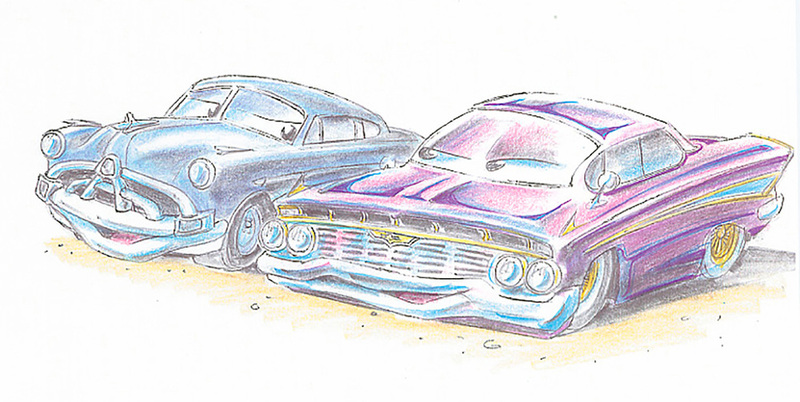 Ramone is a 1959 Impala low-rider and the owner and proprietor of Ramone's House of Body Art, the local custom body and paint shop. 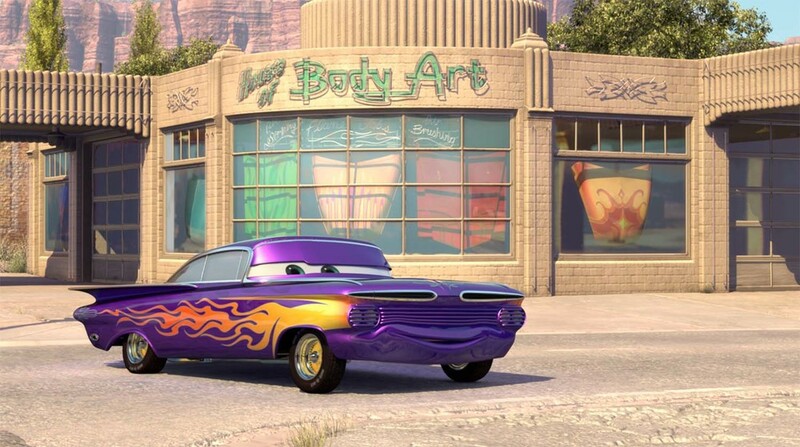 Ramone has formed the habit of repainting himself daily because he hasn't had a real customer in years. 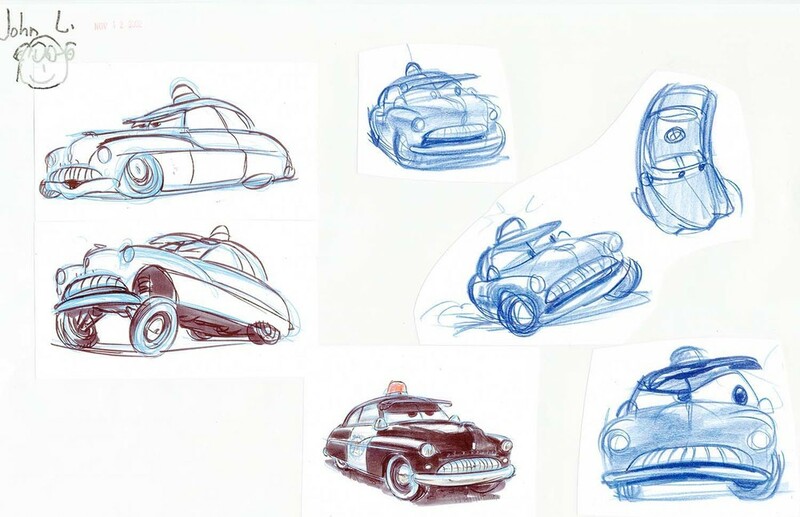 Flo is a 1950s show car and the manager of Flo's V-8 Café, the only gas station for miles around. 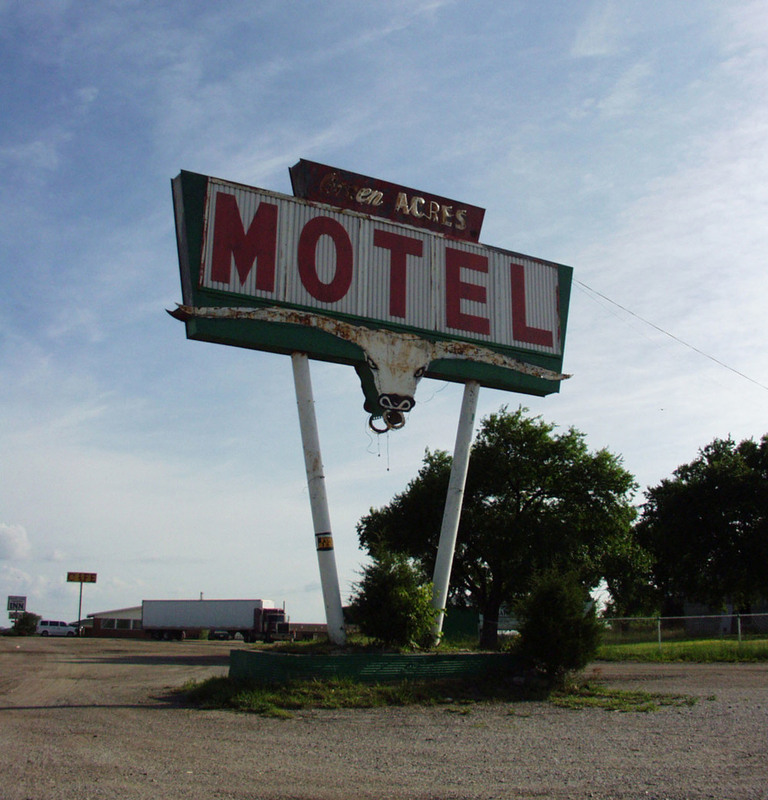 A sassy, no-nonsense lady, Flo serves all the folks in town the "finest fuel in fifty states." 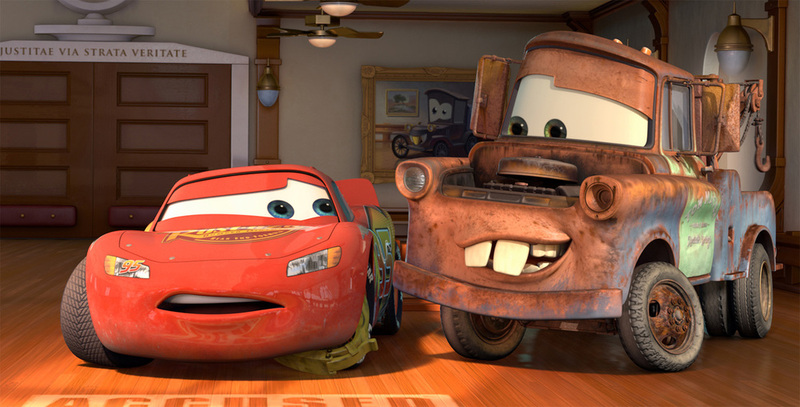 With a cast made entirely of cars, the world of Cars required a lot of road. 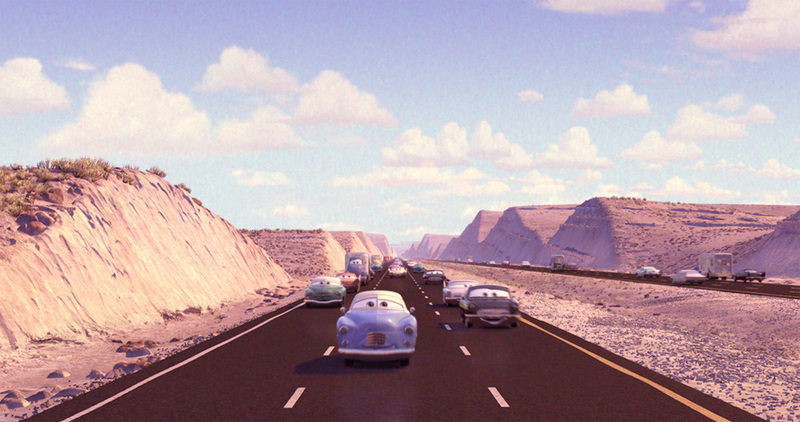 Fast-track motor speedways would provide some of the pavement, but the story needed a sleepier locale. 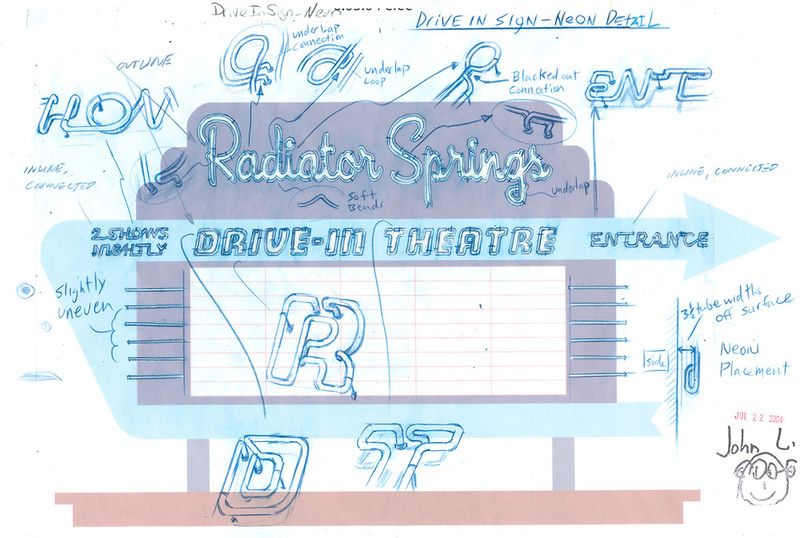 The filmmakers found it on Route 66, the fabled highway where American car culture took off in the 1950s. 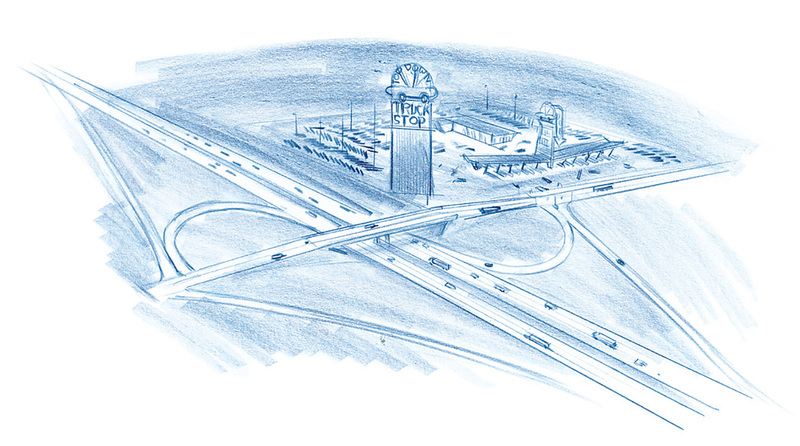 When the highway was replaced by the federal interstate system, hundreds of towns virtually fell off the map. 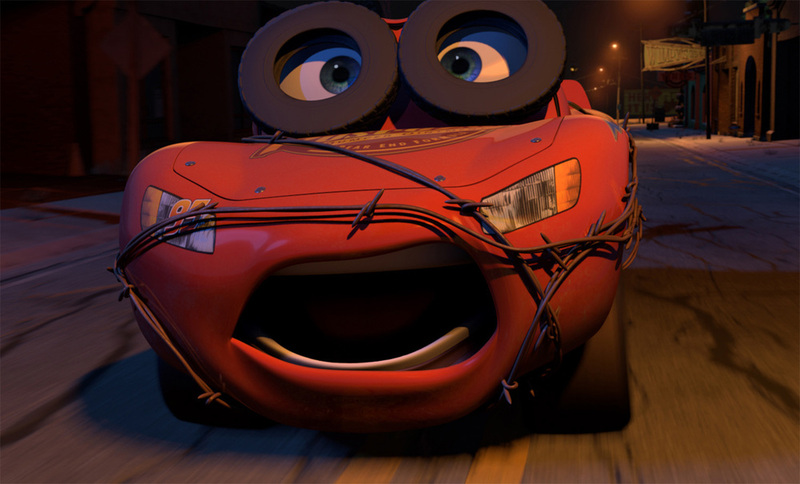 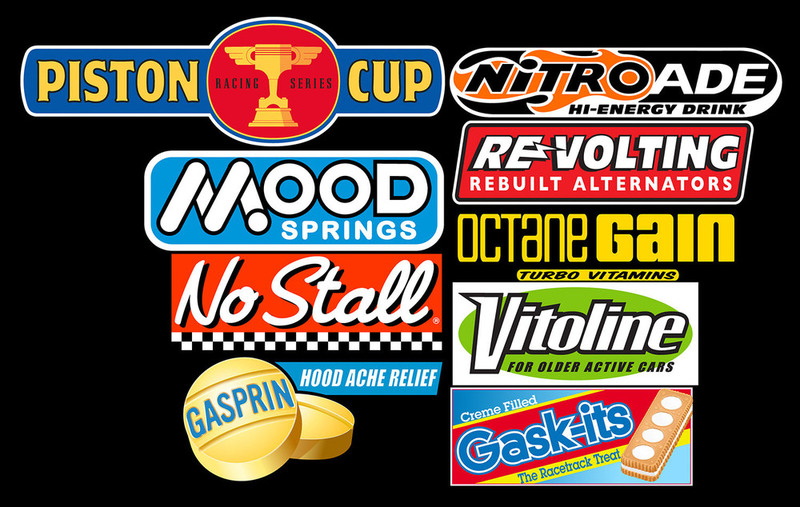 The filmmakers knew no one would watch Cars with a keener eye than professional racing fans. 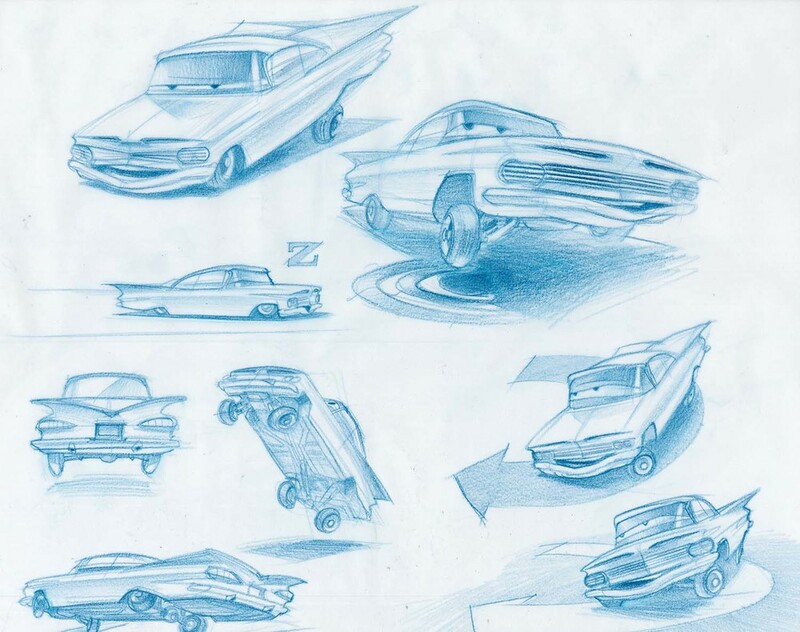 Stock car legend Richard Petty was brought in to provide authenticity, then stayed around to provide voiceover for the 1970 Plymouth Superbird that shared his nickname “The King.” Pixar teams also took extended field trips to some of America’s biggest speedways, looking to capture the sensory overload of rumbling engines, blinding floodlights, and the smell of exhaust, burning rubber, and tailgate barbecue. 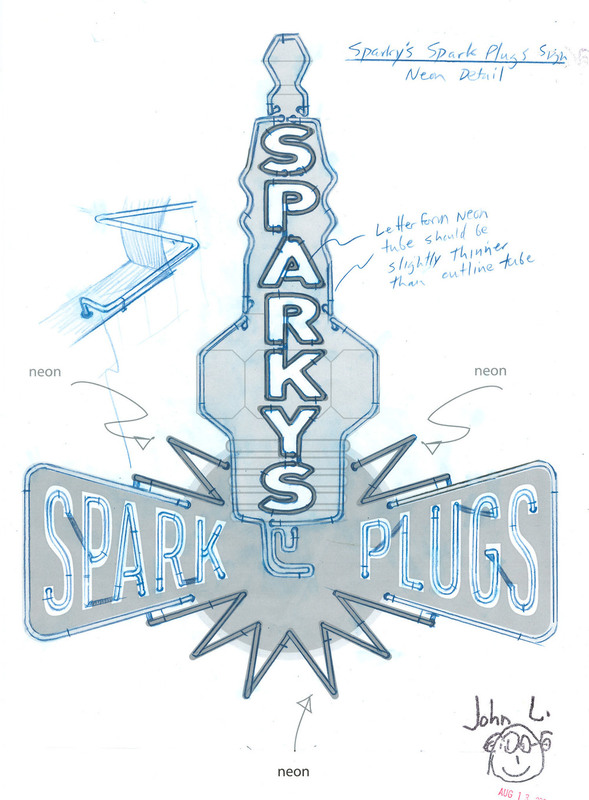 Graphics are not just creations made with words, names, numbers, letters, colors, and typeface—they are opportunities to include hidden stories. 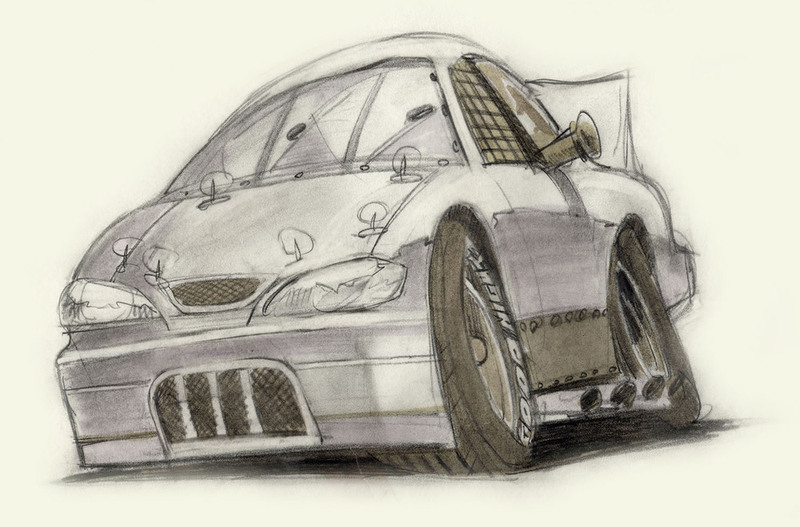 The world of Cars called for an unprecedented number of original graphics, split into three major categories: hometown, broadcast news, and stock car racing. 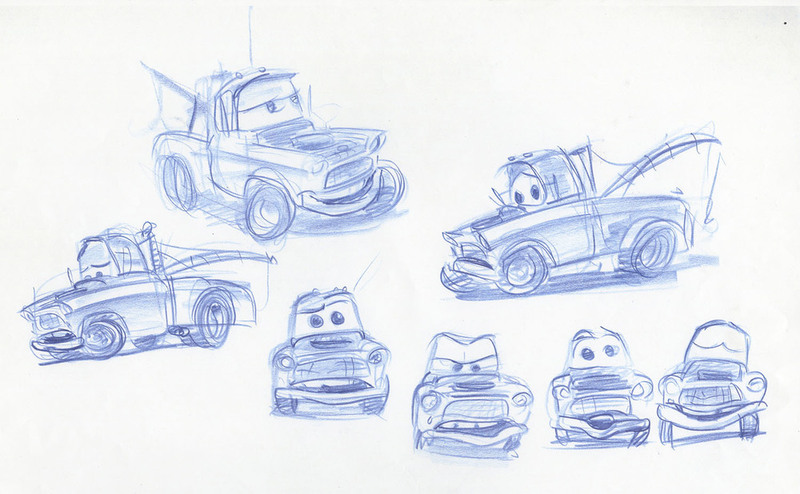 According to John Lasseter, more research went into Cars than any other project at Pixar to date. 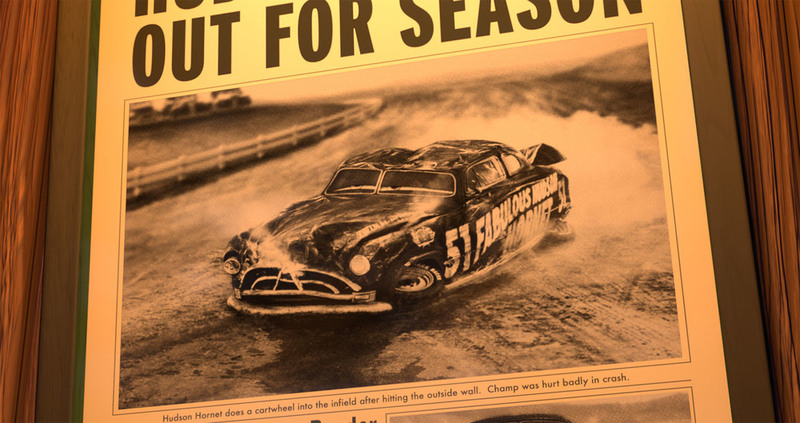 Field trips ranged from leisurely journeys across Route 66 to the fast lane of the Charlotte Motor Speedway, where a couple of infield fans named Larry and Mater would charm their way into the film. 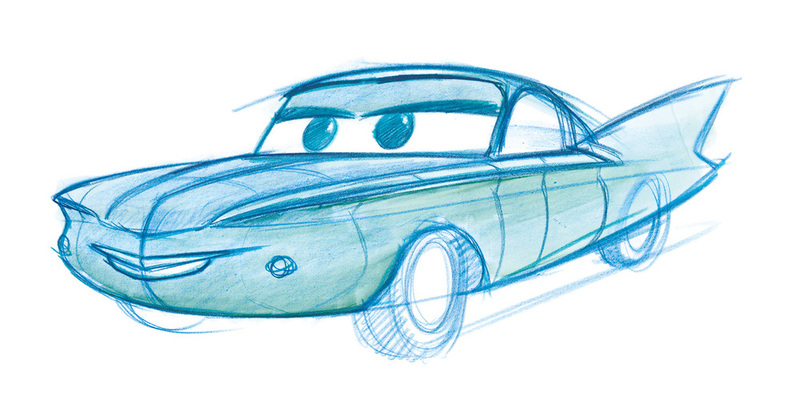 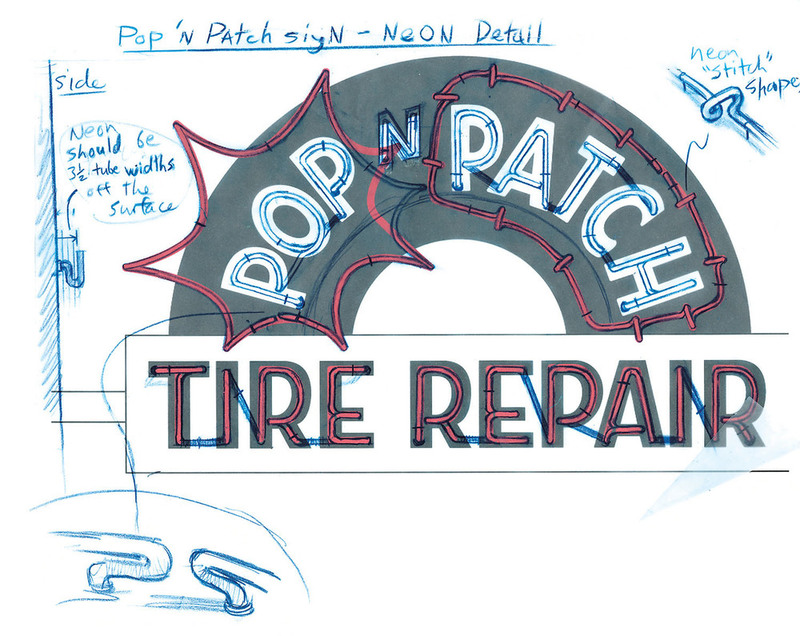 A Pixar team also traveled to the automotive mecca of Detroit to see how cars are designed and assembled from the ground up. 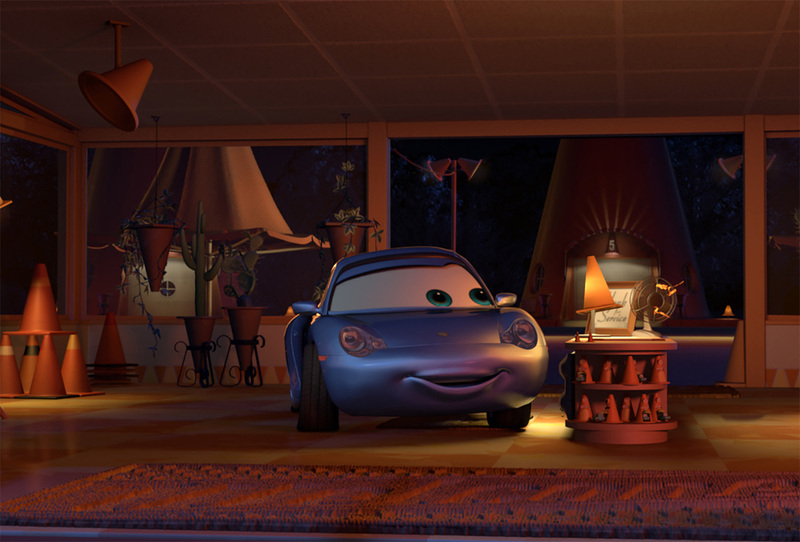 Pixar artists used thousands of still photos and hours of car footage to give Cars the level of detail it would need on the big screen.